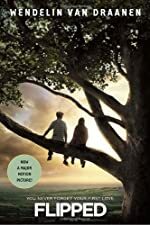 Review: You never forget your first love, and Bryce Loski won’t forget Juli Baker…and Juli will certinatley never forget Bryce in Flipped by Wendelin Van Draanen. It all started when they were is 2nd grade and Bryce moved into town. Juli fell head over heels in love with Bryce...and Bryce tried to avoid the social discomfort and the awkwardness that came along with Juli. But everything got ‘flipped’ in 8th grade when Bryce saw more to Julianna…and Juli is thinking he’s not all that he seemed to be. This is a novel that tells two points of views on how Bryce and Julis’ relationship was a rollercoaster-bumpy and rough, smooth and slow, quiet and both were on at different times. And how one person loved it…while the other was frighten and scared. When Bryce Loski moves down the street from Juli Baker, both of their lives changed forever. Juli thinks Bryce is the most amazing person on the face of the earth, while he thinks the complete opposite of her. Through the years Bryce keeps his distance from this adventurous, intelligent young girl, while he is all she can think about. They had their ups and downs until 8th grade, when everything gets flipped upside down. All of a sudden Bryce starts liking and having feelings for Juliana…but by this time she is thinking he is an untactful jerk...Just a spitting image of his father. Juli doesn’t just casually stop loving Bryce...Between the sycamore tree, her eggs, her uncle David and her front yard she has every reason in the world to stop liking him. But once Bryce sees another side of Juli-past her front yard...her hair sniffing...and her stalking…He learns to value her from the inside-out. How does there relationship hold up after all of this? What I enjoy about Bryce is he is always trying to be nice to Juli. He always tries to make the situation better, to avoid hurting her. I like that in guys so I think it is a cute characteristic for him. But what I don’t like about him is that he lies to Juli a lot. What I like about Juli Baker is her persistence for trying to get Bryce to fall for her. From 2nd grade to 8th grade…she tries her hardest to be noticed, but she isn’t being noticed in a good way, or at least the way she wants to get noticed. I think the book flows nicely and has easy dialogue so it is easy for readers of all ages. Flipped sends out a good message to both boys and girls. Girls hopefully will get from this story that boys sometimes aren’t worth the suffering, learn to accept their problems and don’t change yourself for them. Don’t follow them around like Juli does [that may creep them out] and don’t let them say bad things about you. I hope boy readers get the message that they shouldn’t be afraid to tell girls the truth because in the long run, it all turns out better. Don’t stretch out the lies; tell the truth to EVERYONE and you’ll feel like a better person. This was a difficult book to put down and I believe I could read it over and over again multiple times. We would like to thank Random House for providing a copy of Flipped for this review. Have you read Flipped? How would you rate it? Review: “Nathan, Nathan” says Sam the 14 year old boy “Are you ok?” he asks. Nathan Sam’s older brother has been injured from head to toe. In the book Scorpion Sting written by Justin D’ Ath. This book is adventurous, and dangerous with an underlying theme of brother love. It is the 4th book in the Extreme Adventures series. The main character is Sam Fox. Sam and his brother Nathan are exploring a cave when they find a huge fossil. Sam accidentally leans on it and the cave caves in. A bone falls over Sam and protects him, but Nathan isn’t as lucky. Sam has to find help for his brother before his brother dies. Leaving Nathan, two granola bars, and a half filled water bottle, Sam has to find a way out of the cave that lies 1.5 miles below ground and find help. He runs into many bad situations but that does not stop his determination to save his brother. Will he be able to make it? Scorpion Sting is a great book. I liked all the adventure Sam has and how he gets out of his problems. I don’t like how he makes such a mess of everything and how he never learns his lesson. Sam is like a pouch full of mistakes, but his brother is as wise as a dragon. It took the first few chapters to get me hooked. The first part was admittedly kind of dull, but it slowly started to get better and better until I could not put it down. In the middle of the book my excitement level went through the roof. There are so many mysteries like what his location is and what time it is. It just makes more mysteries. Read the book and find out about all the wonders of Scorpion Sting. We would like to thank Kane Miller for providing a copy of Scorpion Sting for this review. Review: Imagine… you’re stranded in the ocean… you’re surrounded by sharks and other dangerous underwater creatures… you have no idea where you are or what dangers lay ahead …what would you do??? 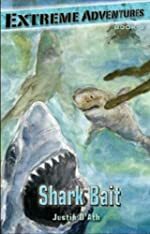 In Shark Bait one of the Extreme Adventures books by Justin D’Ath this all happens to these two middle school kids, Sam (the narrator) and Michi (his friend) who are in. Also in this fiction adventure story, there are lots of surprises and mysteries that need to be solved. There are many exciting events in this book. Being stuck in the middle of the ocean is definitely one of the huge ones. Also getting shoved and locked in a bird cage with an extremely dangerous and humongous bird, while trying to save someone from a ferocious hunting dog…. That is definitely on that list. 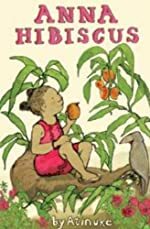 I expected almost all of the book to be about the two kids in water trying to find land and everything… but the book will surprise you with some of the adventures and obstacles the two kids encounter. Shark Bait is very entertaining and exciting, and makes you want to keep reading more and more. There are multiple obstacles and each one of them has an impact on what will happen next. 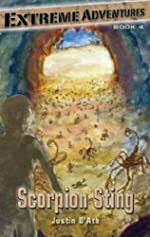 There are lots of exciting and unique events that happen in this book. In chapter 1 the tsunami strikes which kind of kicks off the book. Some chapters after this the two kids get caught up in sharks and dolphins. When they see a hug shark come by, quickly realizing that this was a whale shark, they hitch a ride near land, but in the middle of this the Sam and Michi experience getting in the middle of a “snake spaghetti bowl” and getting trapped in a giant clam’s mouth. Shortly afterwards Sam gets invaded by criminals… and another adventure takes flight. The book definitely had me wanting to keep reading on and kept me on my toes. I also liked the language separation between the two kids, because Michi speaks Japanese and Sam speaks English. It gave the book more difficulty and just made most of the situations so much more challenging to get through. The only way they can communicate is through characters from Finding Nemo so when they talk it’s hard to get the message across. However, the relationship grows between the two kids as the book goes on. You may assume the two kids are children, but as you read on they seem to get more mature and learn from their mistakes and even find some of their unknown talents. I also liked how in some parts the author throws in some factual information about the source of the problem is such as like sharks, clams, birds, sea snakes, ect. “Whale sharks are the world’s largest fish… they aren’t scared of humans. Sometimes they even let humans ride on their backs.” Finally I love how there is a mystery in the book. The mystery is surprising and unexpected. The mystery creates suspense and all the while there is a mystery developing and at the end Sam discovers the solution. I absolutely loved Shark Bait. I would definitely recommend this book to all young readers, and I give this book four and a half stars. We would like to thank Kane Miller for providing a copy of Shark Bait for this review. Have you read Shark Bait? How would you rate it? Review: Imagine being in a horrifying, abandoned, ancient amusement park on full moon night. Closed For the Season by Mary Downing Hahn is a spine tingling story for people who like a spooky juvenile abstruse mystery. Seventh grade Logan Forbes thinks his dad will buy a good house and that he will get to have a fresh start, but he doesn’t know the worst of it. A murder was committed in that house! This novel is an amazing spooky page turner but sometimes you might not want to turn the page! Logan sees his new house and almost faints. The house is old, and run-down, with paint peeling and flaking. When Logan meets his new neighbor, Arthur Jenkins, he tells him something that almost makes Logan run away from his new house. He tells Logan that a murder was committed in his new house! Now Logan wants to know everything about the murder and why it was committed. One day Logan and Arthur gather all the information and find out that the money that the murderers were looking for was hidden in the Magic Forest. They don’t know that they are being followed by strangers on their way home and get captured and have to give all their information related to the murder away. They can only come up with one solution, which is to sneak out at night and go to the Magic Forest before the money falls into the wrong hands. Now it is a race to get to the money first. Out of all the Mary Downing Hahn books I have read, this is the best one yet. She has succeeded in writing another scary page turner that will make you have nightmares. The book is filled with details that help you imagine the whole book in your head like a phenomenal movie. This mystery is a great suspenseful book because you won’t know who is going to live and who is going to die until you read all 182 pages. Something I like most about the book is that as the story goes on, you can tell how Logan and Arthurs relationship changes on many different levels. This book is like a rollercoaster that will take you through friendship, forgiveness, love, and last but not least, the horrors of a real crime. This book also shows you that people aren’t always who you think. This book is great for kids in middle school because the main characters are about their age. Another thing I like about Closed For the Season that many books don’t do is that it gets amazingly interesting right from the first chapter so you won’t ever be bored while reading. Things happen so fast in this book that you won’t want to ever stop reading. The ending of the book is fantastic but you will have to read the book to find out what it is. To conclude, Closed For the Season by Mary Downing Hahn is a great entertaining book that contains a whole lot of excitement throughout the story. After reading this book you might want to read all the other books by Mary Downing Hahn because she is a great author. But don’t forget . . . only read in the daylight so you don’t get too scared. We would like to thank Houghton Mifflin Harcourt for providing a copy of Closed for the Season for this review. 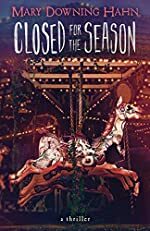 Have you read Closed for the Season? How would you rate it? Review: After 8 months running from thugs, lawyers, and the police, Cal Ormond is not able to rest yet in the 9th book in the Conspiracy 365 series, September, by Gabrielle Lord. Cal is a sixteen year old who is in search of a solution to a mystery that literally holds his life in its hands. Back in January he was warned that he only had 365 days to live. He needed to uncover the truth about the Ormond Singularity by piecing together clues from drawings his father made just before he died. From the clues, he has acquired the Ormond Riddle and the Ormond Jewel. However, in August he loses both the riddle and the jewel to Oriana in exchange for his sister. Now what is he going to do?! September is filled with both good and bad for Cal. He is able to rescue his sister, and through strengthening relationships with his allies, he is able to make some progress in his quest. But, the enemies working against him seem to grow in number. More and more people are out to capture Cal - if only to gain reward money. Just when it seems he might be making some progress, something happens to take him worlds away from where he needs to be. How will Cal escape from the harrowing mess he is in by the end of September? Is he running out of time? December is a short 3 months away . . . which isn’t much time to figure out what all the clues mean and find a way to clear his name. October can’t come soon enough for readers to see what happens next! Once again, Gabrielle Lord beats the odds. She has written yet another fantastic addition to one of the most intriguing mystery series to date. September is different from the other books in that a lot of the book relates to positive relationships. The reader gets to know Winter better and the relationships between the characters grow and solidify more in this installment. Time is spent uncovering secretes in Winter’s past which makes for an excellent subplot. Nonetheless, the suspense doesn’t falter. 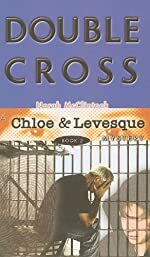 The reader’s heart is torn apart when Cal feels he’s lost his sister, and is relieved when he finds she is alive and well. Plus, it is forever baffling how many different scenarios Cal must go through - each of which is unique and has its own intrigue. Gabrielle Lord should be commended for her creativity in storyline. I certainly know one reader who can’t wait for October to come! This is a phenomenal series for early adolescents - once they start they just won’t be able to stop! 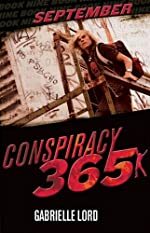 We would like to thank Kane Miller for providing a copy of Conspiracy 365: September for this review. Have you read Conspiracy 365: September? How would you rate it? Review: Mischievous, Hammy, Terrier, Adventure! 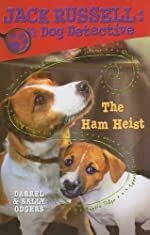 The Ham Heist by Darrel and Sally Odgers is the eleventh book in the Jack Russell: Dog Detective series. It is a great book for you to read! The main character is Jack Russell, a feisty terrier with a nose for crime. It is a bright and sunny day when Jack and Preacher are sitting on the porch minding their own business. In preparation for Sarge’s wedding (Jack’s person), a ham van appears to deliver ham for the wedding. Dogs from everywhere, including a prisoner dog, run up to the ham-scented van to get a whiff. Then a couple of days later, Auntie Tinge and Kiarna find out that the ham is missing! Who stole the ham? It’s up to Jack to find out! The Ham Heist is a great book, especially for dog or other animal lovers. It is intended for younger readers, but it’s fun for more advanced readers too. I would highly recommend it. The author uses fun dialogue and humorous jokes that keep the reader chuckling throughout the book. Plus, the mystery is not overly easy to solve. I kept on guessing the identity of the thief and was surprised at the end. We would like to thank Kane Miller for providing a copy of The Ham Heist for this review. Have you read The Ham Heist? How would you rate it?